As animal lovers, many of us are looking for ways to give back and help animals. There are many ways to help pets in need. One of the most common ways people choose to assist is by donating money to charities. Animal-focused charity organizations always need funds to achieve their missions. A financial donation, no matter how small, can make a major difference in the lives of animals and people. There are tons of animal-related charities out there. How can you choose one that represents your values and will put your donation to good use? With so many animal charities in the world, it can be hard to choose just one or two to help. When you donate your money to an animal charity, you want to know that the money will be used to do as much good as possible. Start Locally: Small local charities may not get the funds and attention that large national and international organizations get. Your donation may go far to help animals in right in your neighborhood. Look into nonprofit groups in your city or state that have missions you support. Ideally, donate to a 501(c)(3) organization that you can be sure will use the money responsibly. If you have a favorite dog breed, find a breed-specific rescue group in need of donations. Or, try your local animal shelter or rescue group. Check out this great list on Petfinder. If you can't find a small local charity to support, there are many larger groups doing good. The following list includes just a handful of suitable organizations. There are many more groups out there that can use your help. ASPCA helps save pets who have been accidentally poisoned, fights to pass humane laws, rescues animals from abuse, and shares resources with shelters across the country. Best Friends Animal Society is a grassroots effort to place dogs and cats who were considered "unadoptable" into good homes and to reduce the number of unwanted pets through effective spay and neuter programs. Humane Society of the United States is the nation's largest and most effective animal protection organization. 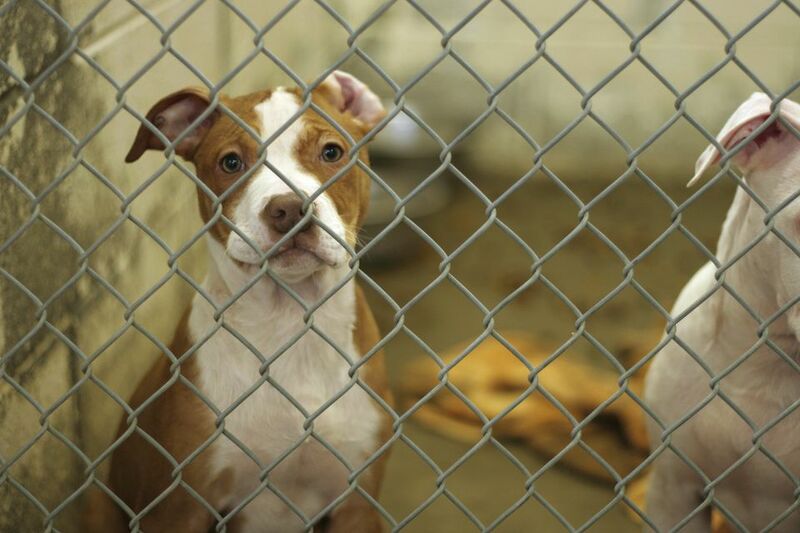 North Shore Animal League is the world's largest no-kill animal rescue and adoption shelter. The Pet Fund provides financial assistance to owners of domestic animals who need veterinary care. Canine Companions for Independence provides highly-trained assistance dogs for children and adults with disabilities free of charge. Puppies Behind Bars trains inmates to raise puppies to become service dogs for the disabled and explosive detection canines for law enforcement. Remember that wherever you decide to donate your money, the group will appreciate your generosity no matter the size of your gift. If you want to do more, but cannot give more money, remember that there are many other ways to give back, such as volunteering or even by adopting a shelter/rescue dog. If you have friends or family members who are animal lovers, consider making a donation in their name as a gift. Or, make a donation in memory of a pet or loved one who has passed away. You don't have to rely only on your own donations to help a charity you support. You can also raise funds from others. It may be as simple as asking for donations in lieu of gifts around the holidays or your birthday. You can also start a social media campaign to raise funds, reaching out to your friends and other contacts. Participate in animal-related charity events, like walks or runs. Start a team that will raise funds for the event. Social media is also a great way to get the word out here. If you want to think even bigger, ask your employer to get involved. Some companies will actually match donations. You can also canvass the area and talk to local business owners. Reach out to corporations, especially those with local offices. Put together a verbal and visual presentation to educate others about the cause and explain why their donations are needed. Be enthusiastic and persistent (but not too much). Get the whole community involved to help animals in need.